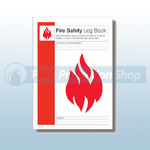 Available from Fire Protection Shop are a range of Certificate Pads & Fire Log Books that include the A4 fire safety log book which is a requirement on all company premises in order to comply with fire regulations. 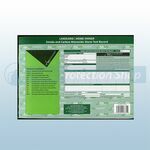 You can also purchase the log book with a document pouch for storing the document. Our Premium Fire Safety Log Book / Folder is a legal requirement for all company premises in order to comply with fire regulations. This Fire Log Book / Folder includes the following information, general information, fire risk assessment, fire alarm system, emergency lighting, fire fighting equipment, means of escape and fire staff training. At Fire Protection Shop we supply a Smoke & Co Alarm Test Record Pad which is ideal for Landlords / Home Owners that need to check / keep a record of Smoke & CO Alarm Tests.